What is the purpose of the International Decade for Action, ‘Water for Life’, 2005-2015? What are the central themes for ‘Water for Life’ Decade? Who is responsible for organizing the ‘Water for Life’ Decade? Who are the UN-Water members? How did the ‘Water for Life’ Decade come about? When did the ‘Water for Life’ Decade officially commence? What special events were organized for the launch of the ‘Water for Life’ Decade? What activities are planned for the ‘Water for Life’ Decade? How do the Millennium Development Goals (MDGs) relate to the ‘Water for Life’ Decade, 2005-2015? Why is Gender a key issue for the ‘Water for Life’ decade? Who can participate in activities for the ‘Water for Life’ Decade? How do I get the logo? Is there any Office for the implementation of the Decade? Where do I find educational materials on the Water for Life theme? How can I make a financial contribution/donation to the Decade? How can I stay up-to-date with activities planned for the ‘Water for Life’ Decade? 1. What is the purpose of the International Decade for Action, ‘Water for Life’, 2005-2015? The primary goal of the ‘Water for Life’ Decade is to promote efforts to fulfill international commitments made on water and water-related issues by 2015 – a decade of action. Relevant commitments include the Millennium Development targets to reduce by half the proportion of people without access to safe drinking water and basic sanitation by 2015. The goal for all countries to stop the unsustainable exploitation of water resources and to develop integrated water resource management and water efficiency plans by 2005 agreed at the Johannesburg Summit is also an important focus of the Decade. A special emphasis is placed on ensuring the involvement of women in these development efforts. Achieving the goals of this International Decade requires sustained commitment, cooperation and investment. 2. What are the central themes for ‘Water for Life’ Decade? Central water related themes include: food, health, environment, disaster prevention, energy, transboundary water issues, scarcity, culture, sanitation, pollution and agriculture among others. 3. Who is responsible for organizing the ‘Water for Life’ Decade? 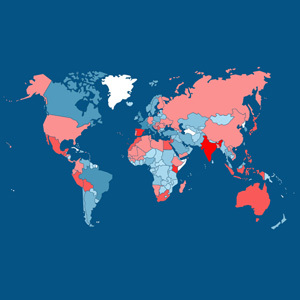 UN-Water is coordinating the ‘Water for Life’ Decade, 2005-2015. UN-Water is the United Nations system-wide inter-agency mechanism of all relevant agencies, departments and programmes involved with water-related issues. The chairmanship of UN-Water rotates and is currently held by the World Meteorological Organization (WMO), while the Secretariat for UN-Water is based at the United Nations Department of Economic and Social Affairs (UNDESA). UN-Water was set up under the United Nations System Chief Executives Board (CEB). CEB took steps, through its High-Level Committee on Programmes, to establish or strengthen inter-agency collaborative arrangements in the key areas of freshwater, water and sanitation, energy, oceans and coastal areas, and consumption and production patterns. 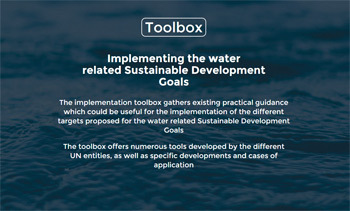 Among other specific actions taken, UN-Water is the inter-agency mechanism for the follow-up of the Johannesburg Plan of Implementation water-related provisions and the Millennium Development Goals concerning freshwater. The terms of reference and modalities of work of UN-Water cover the elements of a detailed inter-agency plan for addressing water as well as sanitation issues, and include mechanisms for interacting with non-United Nations system stakeholders. 4. Who are the UN-Water members? UN-Water is composed of representatives of 29 United Nations organizations. United Nations organizations include those responsible for major funds and programs, specialised agencies, regional commissions, United Nations conventions and other entities within the UN system. 5. How did the ‘Water for Life’ Decade come about? During its 58th annual session, the United Nations General Assembly, in resolution A/RES/58/217 proclaimed the period from 2005 to 2015 the International Decade for Action, ‘Water for Life’, to commence on World Water Day, 22 March 2005. This is the second international decade on water-related issues organized by the United Nations, succeeding the International Drinking Water Supply and Sanitation Decade, 1981 - 1990. 6. When did the ‘Water for Life’ Decade officially commence? World Water Day, 22 March 2005, marked the official commencement of the ‘Water for Life’ Decade. 7. What is World Water Day? 8. What special events were organized for the launch of the ‘Water for Life’ Decade? The launch of the International Decade for Action, ‘Water for Life’, 2005 – 2015 was commemorated on 22 March 2005 with the presentation of a video message by the former UN Secretary-General Kofi Annan at UN Headquarters. 9. What activities are planned for the ‘Water for Life’ Decade? Keep up to date with activities planned throughout the Decade by regularly visiting the Decade's website. At the national level, each country takes its own approach to organize activities around the ‘Water for Life’ Decade. All activities that promote public awareness of issues related to the ‘Water for Life’ theme are encouraged, including the organization of conferences, seminars, expositions and other such public events. The ‘Water for Life’ Decade Logo can be used by local organizers after signing a Waiver of Liability. 10. How do the Millennium Development Goals (MDGs) relate to the ‘Water for Life’ Decade, 2005-2015? The Millennium Development Goals (MDGs), agreed to at the Millennium Summit in 2000, set specific targets for reducing poverty, hunger, disease, illiteracy, environmental degradation, and empowering women by 2015. Regarding water and sanitation, the relevant targets of the MDGs are to reduce by half the proportion of people without access to safe drinking water and sanitation by 2015, the year that marks the end of the ‘Water for Life’ Decade. The Millennium Declaration also calls on nations to stop the unsustainable exploitation of water resources. In response, the World Summit on Sustainable Development in Johannesburg (2002) called on nations to prepare integrated water resource management and water efficiency plans by 2005. These plans can be used as a framework for the Decade. As the MDGs are inherently interdependent, improved access to freshwater and sanitation will help to achieve the Millennium targets for health, gender equality (by empowering women) and the overarching goal of poverty reduction. The fundamental goal of the ‘Water for Life’ Decade is to achieve these internationally-agreed development goals concerning water by 2015 – a decade of action. 11. Why is Gender a key issue for the ‘Water for Life’ Decade? In most societies women have primary responsibility for water supply, sanitation and health at the household level. This central role of women is often neglected in efforts to improve water resource management schemes and sanitation facilities. Furthermore, women suffer the largest burden when water and sanitation resources are inadequate. The activities of the 'Water for Life' Decade include a gender perspective, and promote the full participation and equal involvement of women in water-related development efforts. 12. Who can participate in activities for the ‘Water for Life’ Decade? 13. How do I get the logo? Visit the Logo section of this website for more details and guidelines on how to use the ‘Water for Life’ Decade Logo. Authorization must be requested before using the ‘Water for Life’ Decade Logo. 14. Is there any Office for the implementation of the Decade? The UN-Water Decade Programme on Capacity Development (UNW-DPC) Hosted by the United Nations University in Bonn, Germany, the UNW-DPC strengthens the coherence and effectiveness of capacity development activities in the framework of the Decade. The UN-Water Decade Programme on Advocacy and Communication (UNW-DPAC) Located in Zaragoza, Spain, hosted by the United Nations Office to Support the International Decade for Action 'Water for Life' 2005-2015 and led by the United Nations Department of Economic and Social Affairs (UNDESA), UNW-DPAC facilitates information, implements communication and raises awareness in the framework of the Decade. 15. Where do I find educational materials on the Water for Life theme? Visit the Kids and Youth Corner of this website for educational resources relating to water in different languages, age groups, themes and topics. 16. How can I make a financial contribution/donation to the Decade? Contact water-decade@un.org for information on how to contribute through supporting specific activities of the Decade. 17. How can I stay up-to-date with activities planned for the ‘Water for Life’ Decade? Share your Water for Life Voice with us! 15-17 January 2015: See results! The Decade's weekly brings you every week the latest news from the Decade.